Option allows for lighting around the hood and available with AC-PSP and PSP. 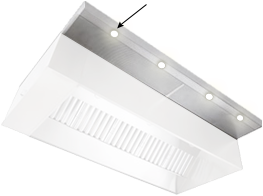 Round, recessed LED lights are placed in the divider between the PSP and the AC plenums. 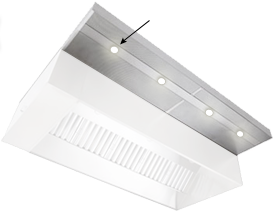 The light is a 3.5 watt, warm white and 20 cluster LED, and can be wired directly to 120V AC. 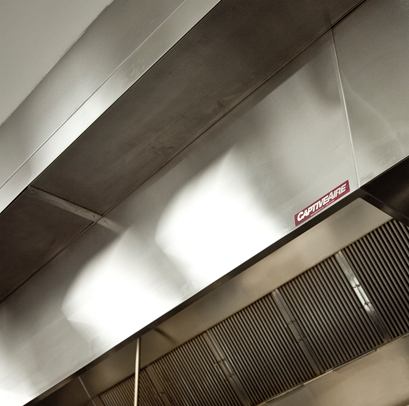 The Perforated Supply Plenum (PSP) and AC Perforated Supply Plenum (AC-PSP) both introduce make-up air near the hood and direct air downward into the capture area of the hood. 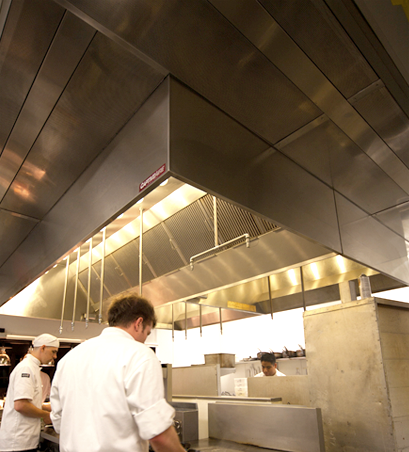 The dual plenum design (AC-PSP) adds an additional plenum to allow convenient termination of the HVAC ductwork to the kitchen and provide spot cooling. 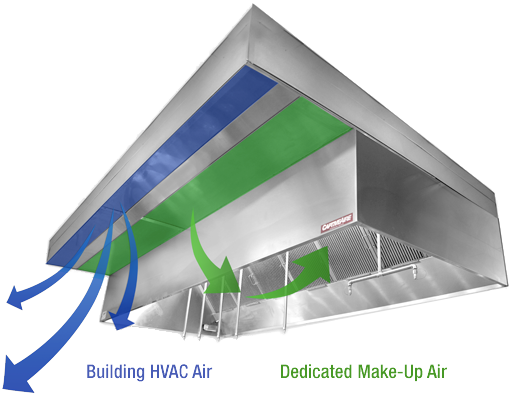 Providing the required make-up air for your kitchen system, the PSP and AC-PSP both evenly distribute air along the length of the hood through the perforated stainless steel diffuser plates. The AC-PSP Plenum is a Patented Product, Patent No. 7963830.